Forth of July, a photo by shaunadieter on Flickr. This year we had a low key 4th. We went to Slater's fireworks the day before. 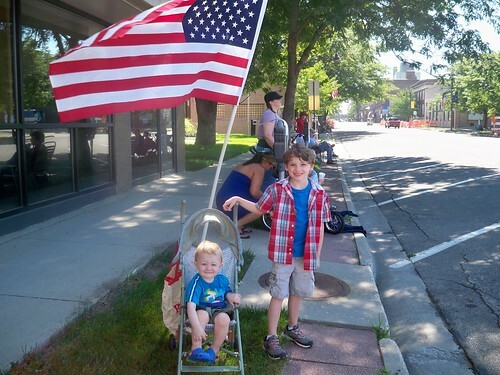 On the forth we went to the Ames pancake breakfast and parade. It was super hot and the kids weren't that happy with waiting. At least there was some shade.